I posted previously about another house that was demolished on Stanley Ave but the Macs store. There is now a “For Lease” sign up. I didn’t realize that this property was owned by the DoubleTree Fallsview Resort & Spa by Hilton. The upside-down house at the end of Onieda Lane looks like it is almost done. It’s kind of cool seeing the plants upside down (even if they are fake). I wonder what the attraction will be like. For rent: Two bedroom, 1,200-square-foot house. Close to the casino and Clifton Hill. Plenty of parking. No pets allowed and tenant must be able to walk on their hands. Welcome to the upside down world of Marek Cyran. The 50-year-old man and his business partner, Adam Nielbvowicz, are building a house. 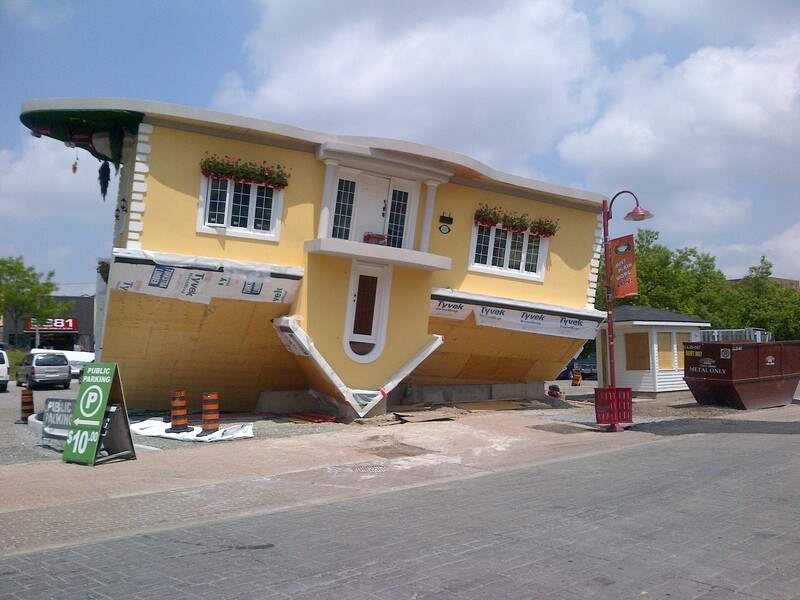 The only problem is the whole construction project is upside down. Literally. The two are building a new attraction near Clifton Hill that has people scratching their heads. Last week I posted a picture of a steel structure at the end of Oneida Lane. There were a couple of guesses as to what it would be. 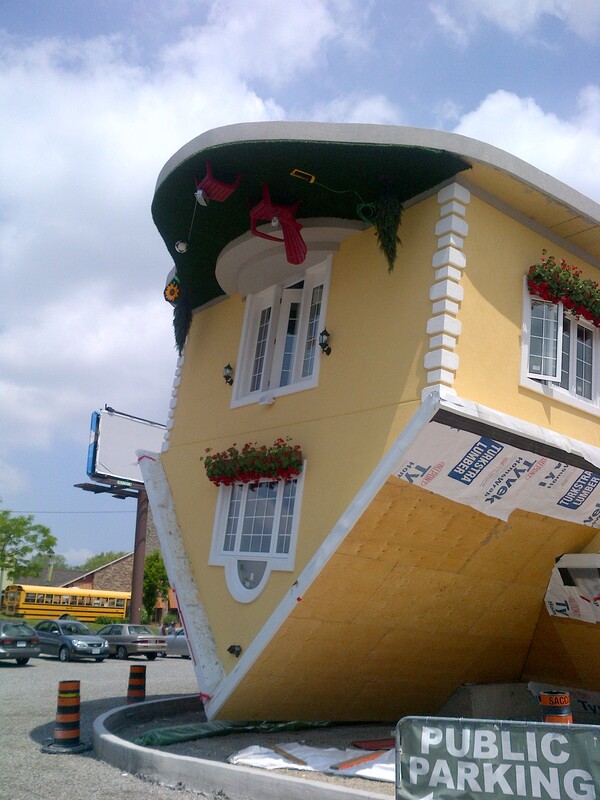 It turns out it is an upside-down house. I wonder what it will be used for. Last week I received an email from the Fallsview Casino Resort. This morning I tweeted about some filming going on at the Dave & Buster’s on Clifton Hill. I’ve asked around, and this is what I’ve found it. The filming was for the TV show called Covert Affairs. The show is on the USA Network (not sure who is showing it in Canada and filming is based out of Toronto. Apparently it premiered on July 13, and several episodes have already been filmed. It is promoted as by the guy(s) who did the Bourne trilogy. It stars Piper Perabo from Coyote Ugly and Cheaper By The Dozen 2. Before I knew what was going on, I thought the person in the yellow/orange skirt in the main entrance to Dave & Buster’s was the girl who played Amber on House, Anne Dudek. Looks like I was right, as she is in the show as well.